As you celebrate this long holiday weekend please take the time to stop and remember the reason you can have your family gatherings, cook-outs and enjoy a peaceful day. Remember the men and women who gave their lives to make it possible. I've written about this holiday every year for awhile. You can read what I wrote last year HERE and in 2010 HERE. And, if you follow the links, you can step back even further. I wish you all a very safe holiday weekend. 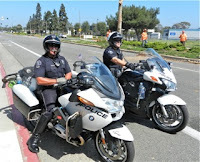 If you live in Costa Mesa please remember that the CMPD will be tightening up motorcycle safety enforcement - the second consecutive Saturday they've done it to try to make our streets safer for us all. In Remembrance of my father, SGT Eddie Chervony, killed-in-action, 05May1968. He died 3 days before his 21st birthday, I was 13 months old. Memorial Day is a day we observe and remember, not a day to "celebrate" and go shopping. Enjoy your holiday, as it came about with much sacrifice. I love you dad and miss every part of my life that you were not there, nor will be there to share with me.